Locating fun spring poems for children get them excited about reading and the change of the season. Nature is at the forefront of these poems, making them an excellent choice for children who love the outdoors. Introduce spring poetry as a way to get kids interested in reading after the long winter months. The month of April is actually National Poetry Month in the United States, making it the perfect time to introduce spring poetry to children. Spring Poems and Rhymes at Apples4theteacher.com: In this list of spring poems are some famous authors including Henry W. Longfellow and Robert Louis Stevenson. Songs & Poems - Spring at CanTeach: Many short poems that include repetition and rhyming are in this collection, perfect for using with young children. Included in the Nature Poem section of the Love Poems website are several poems that relate to spring. These are more appropriate for upper elementary and junior high students, who have a larger vocabulary and ability to understand complex imagery in the poems. Search through the poems for ones like "The Genesis of Butterflies" by William Hugo and "On May Morning" by John Milton. Laughing Tomatoes and Other Spring Poems by Francisco X. Alarcon: Recommended for ages 4 to 8, this collection of easy to read poems in both English and Spanish is a great choice for a bilingual home or classroom. A Child's Calendar by John Updike: Read the March, April and May poems for a glimpse of spring in this collection of poems for each month of the year. Spring: An Alphabet Acrostic by Steven Schnur: Each page features a different acrostic poem, sure to delight a young child who loves the spring. Schnur offers three other volumes for the other seasons, too. Search for poetry books by a more specific topic than just spring. For example, books on gardening for kids might include some rhyming poems or other silly sayings. A librarian or teacher is a great resource for finding poetry books to add to a recommended reading list for children. Turn the poem into a song. Use a tune they are all ready familiar with to make it easier. Add actions to a poem, such as flapping arms to represent wings, for a physical component to the poem. Have children write their own poems, brainstorming rhyming words for spring or writing an acrostic poem with the word spring. Visit a local nature center or park and ask children to write poems that describe their experience. 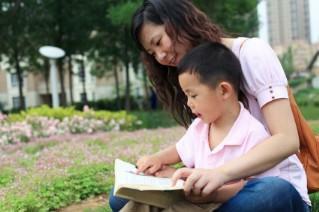 The possibilities for activities vary, depending on the poem(s) read to the children. DLTK's Spring Poetry page includes not only poems, but also some suggestions for related activities. Most include a printable black and white or color sheet; find a suggested craft or activity link at the bottom of the poem. Spring poems for children are an excellent way to incorporate some cross-curriculum teaching in the classroom, combining a science nature lesson with a reading lesson on poetry. Use spring poems at home to help kids practice reading skills and get excited about the changing of the seasons.